This card is made up of handmade material in a dark yellow color with dark brown color handmade material pasted on top of it. 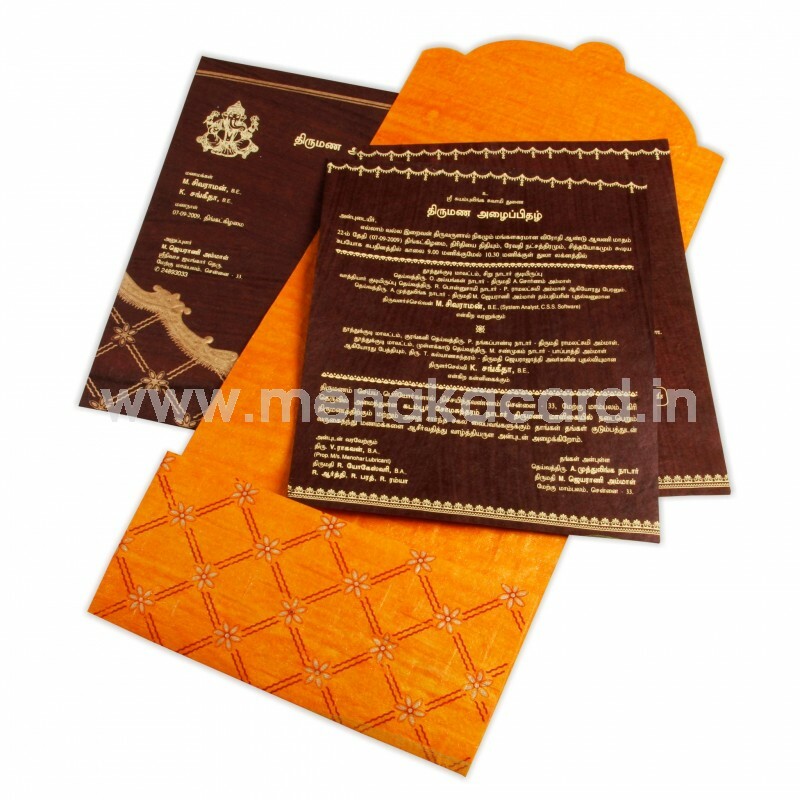 Both the card and the pasted border has a beautiful golden print embossed. 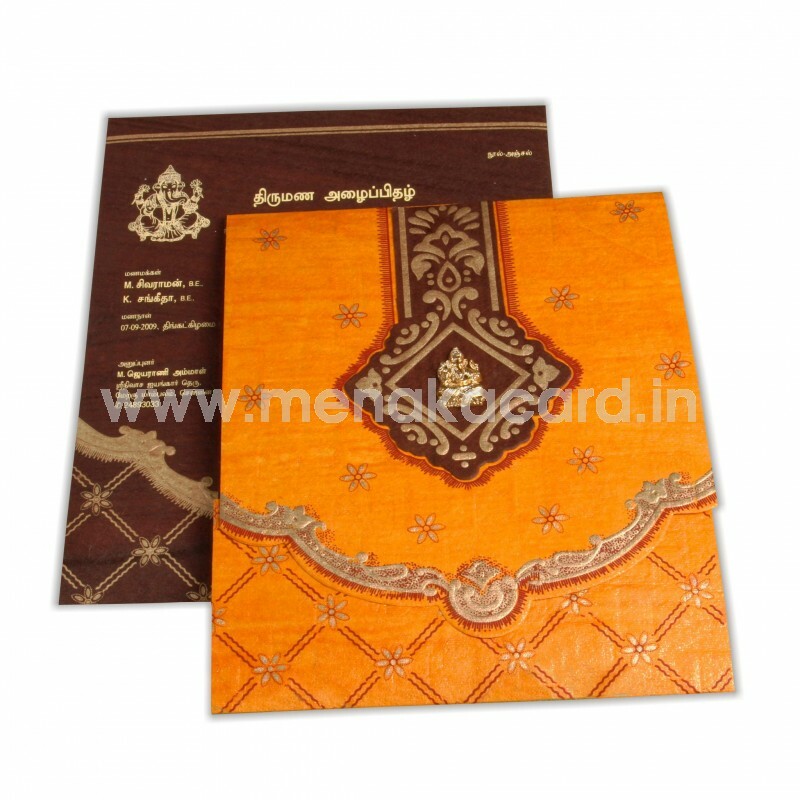 Its a exclusively designed card which enrich the richness at the handmade material. Inserts and envelope has made up at the same material.